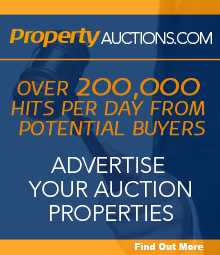 Allsop Commercial has reported its best February auction since 2007, selling 105 lots and raising a total of nearly £84.1 million. That represents a success rate of 81%, with 22 of the lots on offer selling for over £1 million. The highest value lot sold on the day was an office and residential investment in Covent Garden, London WC2E, which sold for £12.4 million, representing a capital value of £1,113 per square foot. In what was the busiest room seen for a long time, competition for all varieties of lots was enthusiastic, although those with value add opportunities proved particularly popular. With little mention of Brexit, prices held firm in London and the South East, with no evident drop in demand for properties right across the country that were available at the right price. Other notable lots on the day included: a Mercedes-Benz showroom on a 1.95 acre site in Weston-super-Mare – let at £202,905 per annum until 2028, it sold for £2.585 million (7.38% NIY); a car park in Marylebone, NW1, let to NCP until 2037 at £209,533 per annum raised £3.9 million (5.04%); and a Co-op convenience store in North Somercotes, Lincolnshire, with an annual rent of £80,000 per annum until 2033 with CPI uplifts, fetched £1.430 million (5.27%). Allsop Commercial’s next auction will take place at The Berkeley, Wilton Place, Knightsbridge, London SW1X 7RL on Tuesday 26 March.